Wow, this tart was amazing! Messy, but AMAZING! If you love bananas, you’ll absolutely love this tart. 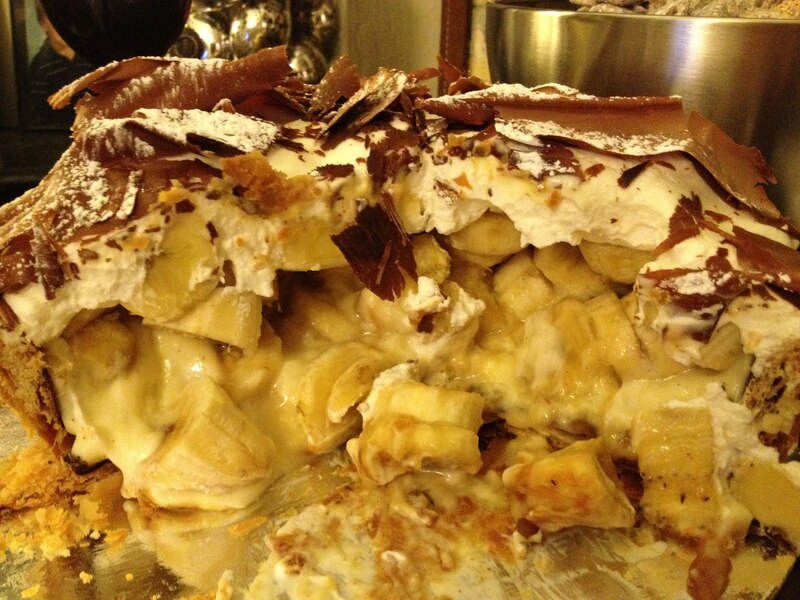 I’m not a huge banana fan, but I will eat this tart any day! I brought this to a Christmas party and it was a big hit. 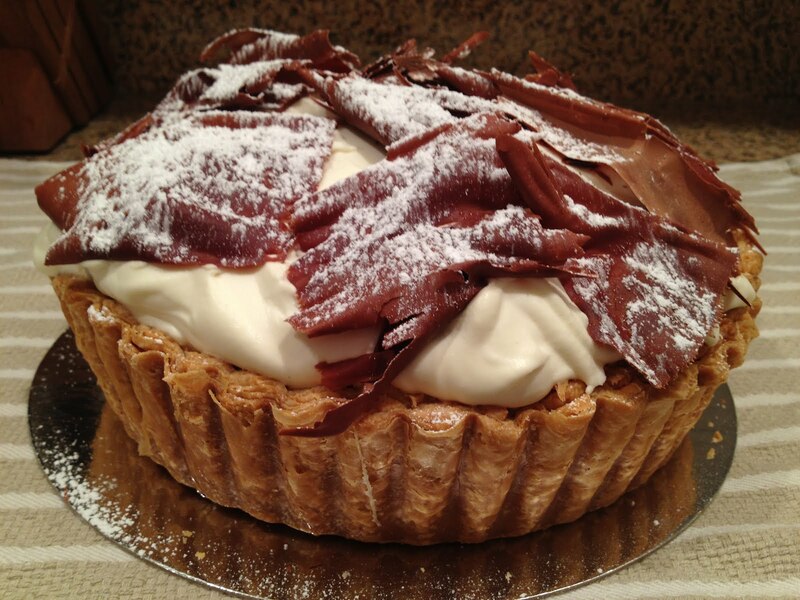 You can never go wrong with bringing a tart or cake from Tartine! In the box just waiting to be eaten! 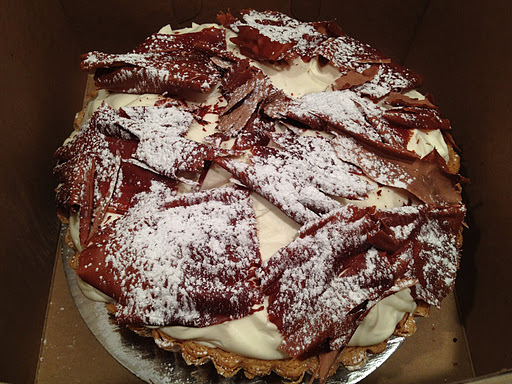 The pastry shell was pretty thick and because it was chocolate and caramel coated, it was fairly difficult to slice through. But after you did, you received a great surprise as the sliced bananas came pouring out. Amazing! This entry was posted in 7x7 Big Eat SF, Bakery, Tartine Bakery and tagged banana, caramel, chocolate, cream, dessert, powdered sugar by vicentesf. Bookmark the permalink.